Thanks so much for joining me to celebrate our first wine dinner and the world of Barbaresco (Peter’s Birthday too). Call me if you need any help 0437 941 963. What a triumph! Seeing a row of wines of this calibre and age across four of Barbaresco’s great Cru’s is a rare event. From youthful and vibrant to mature and ready to drink, feminine and supple to bold and masculine, one thing remained true for all of the wines, they were loaded with personality and intrigue. The choice was one of which one was better rather than which one worse. For me the 05 Asili was such a beautiful feminine expressive wine. The 09 Rabajà such a complete wine with that rare combination of restraint and an intense core of fruit. Flip a coin with the Montefico’s, both bold, rich wines, with powerful tannins softened by the fat of the Wagyu Skirt steak. The 09 Rabajà such a complete wine with that rare combination of restraint and an intense core of fruit. Flip a coin with the Montefico’s, both bold, rich wines, with powerful tannins softened by the fat of the Wagyu Skirt steak. Flip a coin with the Montefico’s, both bold, rich wines, with powerful tannins softened by the fat of the Wagyu Skirt steak. The Ovello’s were a Barbaresco masterclass in themselves. The only 04 in the mix showed the class of the year, with ripe tannin balanced with a lovely line of acid. The 05 seamless and beautifully integrated. It will be fascinating to watch the pair evolve over the next decade. The 09 Ovello showing the edge of ripe, slightly jammy fruit that was present in the 09 Asili. The 09 Rabajà and 09 Montefico held onto their fresh vibrant fruit highlighting the difference site and perhaps picking time can make! 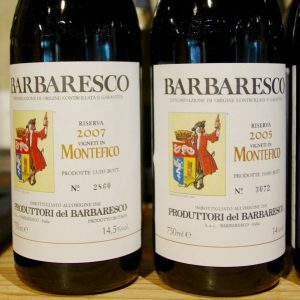 All the background to Produttori Babaresco, Nebbiolo, and, Barbaresco is with the wine wine reviews below the order form. Straight from the cellars of Prodottori del Barbaresco we have several of their Cru’s, mature and ready to go. In advance of the 2013 Cru release in February 2018, we have these gems available for your drinking pleasure today! 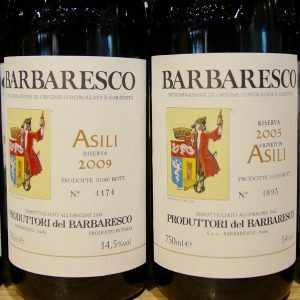 Barbaresco is often considered the poor cousin to Barolo. That it certainly is not! The benefit for us is the marketing hype around Barolo which is often deserved and sometimes not help keep prices of Barbaresco reasonable. Prodottori produces what are undoubtedly some of the best value Barbarescos available today. 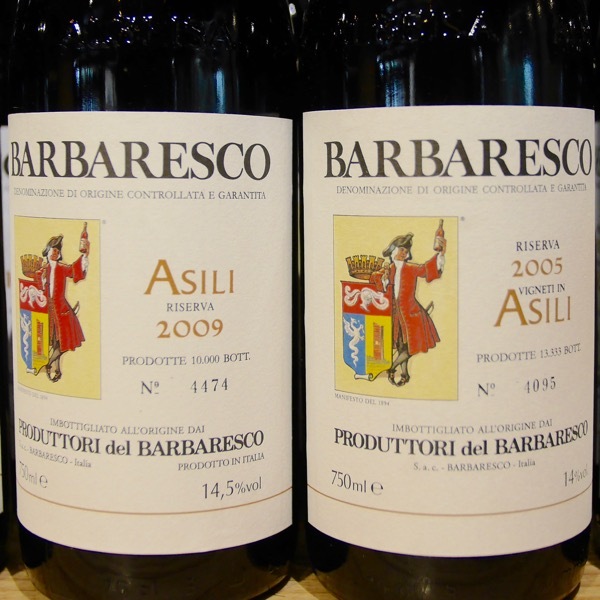 As a generalisation Barbaresco tends to be less tannic and more approachable as younger wines. From . $130 in any 3, $125 in any 6. 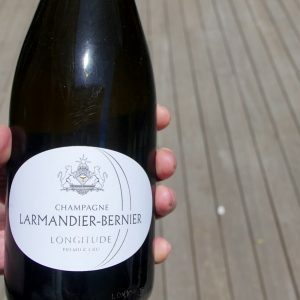 Larmandier-Bernier was one of the first grower Champagnes to make a mark in Australia. Everyone had been used to hyped up, over market crap from big houses. These guys sent a ripple through the market that became a shock wave of yumminess! 100% Chardonnay Longtitude is the more elegant of the two in comparison with Latitude. Deceptively sophisticated, the depth of fruit is beautifully counterpointed with stunning mineral acid & layers of flavour! The most elegant and feminine of the 4 Cru's devoured on the night. Developing lovely secondary characters, openned beautifully over the course of drinking. Supple and refined. Retaining Asili's hallmark femininity. Plush almost Pinot-esque tannins. You can see some riper fruit characters from a warmer year. The 07 I consumed recently sat in the middle of the 2005 and 2009 in style. 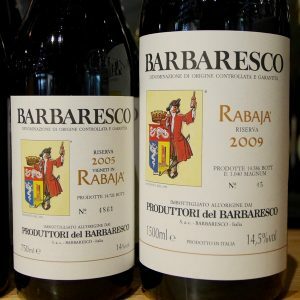 The 2005 Barbaresco Riserva Rabaja reveals gorgeous inner perfume in a powerful, structured style. This is a big, hulking Barbaresco, but its potential is evident, as the wine’s balance is impeccable. Still, readers will have to exercise considerable patience here. I have seldom been disappointed by older bottles of the Rabaja and expect the 2005 will turn out to be another fine vintage for this bottling as well. Building in structure compared with the Asili, there is a vibrancy, and purity of acid across the board with the 2005 from Produttori. The Rabajà has an impressive core of fruit and a real presence about it. Dark cherries, menthol, cloves, cinnamon and leather wrap around the palate in the 2009 Barbaresco Riserva Rabajà. A rich, layered, enveloping wine, the Rabajà is a wine that shows plenty of character and personality. Deep, implosive and full of personality, the Rabajà is another wine that delivers tons of character, class and personality. Rich, long core of fruit with supple tannins, this is a cracking Rabajà, made with great skill. Packed with personality, the layers of complexity are incredibly inviting. Just starting to head into the drinking window (tasted 2017) it's still got years ahead of it. Pure & delicious! Building in intensity the 2007 Montefico shows riper tannins. A very savoury wine. Again with lovely secondary characters, full and oppulent. 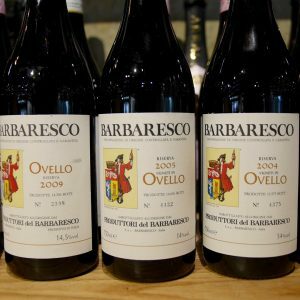 The 2004 Barbaresco Riserva Ovello is deep, dense and incredibly primary. Although the wine clearly possesses remarkable stuffing, there is very little tertiary development here. With air, suggestions of menthol, pine, spices and licorice gradually emerge, but this remains a wine in need of serious bottle age. Lingering notes of sweetness resonate on the long finish. This austere, but beautiful Barbaresco is destined to develop beautifully in bottle and should offer glorious drinking down the road. The class of 2004 shone through in the Ovello. Great balance of tannin, fruit, and, with a fresh edge of acid. Long fruit lingers long after the last drop passes your tongue. Big tannins seamlessly integrate with lovely fruit and vibrant acid. Bags of personality with a savoury edge and earthy secondary characters. Riper, perhaps an edge jammy as shown in the 2009 Asili. Beautiful tannins. A big masculine wine.